Can we trust who we think we are? Can we assume our convictions are correct? Why are we so passionately convinced our version of reality is the right one? Is fiction truer than memory? How does fiction consumed in childhood affect the way we perceive reality? There is nothing in my memory bank as vivid as the photo above. Mixed in with all my memories of reality are memories of fiction. I was born in 1951, but my earliest memories of television come from 1954-55. A few years later, are memories of seeing my first movie on TV, High Barbaree. I’m sure I saw others, but its the one I remember. My late 1950s memories are filled with black-and-white science fiction films and Johnny Weissmuller’s Tarzan flicks. 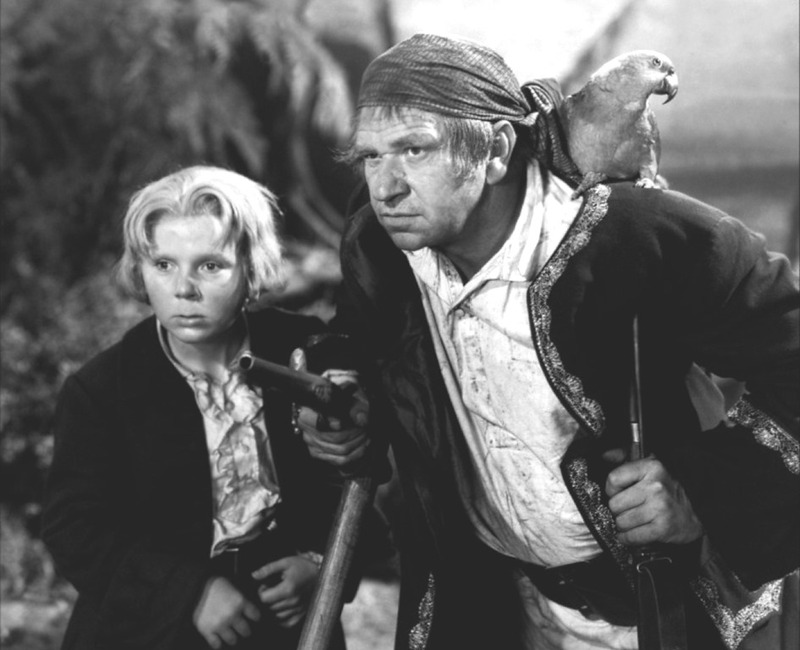 Around 1959 I encountered Treasury Island, the first book I remember reading. I have many memories of external reality growing up in the 1950s, but I also have more memories from television. Because I’ve seen those TV shows & old movies repeatedly over the years and decades, and often reread my favorite books, those fictional memories have gain vividness, while my real life memories fade. Is it any wonder that Turner Classic Movies has become so meaningful to the social security set? I once returned to the house I lived in when I was four. I think of age four as the beginning of my personality. When I stood on that sidewalk in front of that house, I felt like I was at the Big Bang beginning of my existence. From 1955 till today, I have two kinds of memory. What happened in my life and what happened in stories. In terms of deciding which programmed my soul more, I’m undecided. Robert Silverberg has a wonderful essay, “Writing Under the Influence” in the March 2016 Asimov’s Science Fiction about how a favorite fantasy story he discovered in childhood influenced two novels he wrote as an adult (Son of Man, Lord of Darkness). 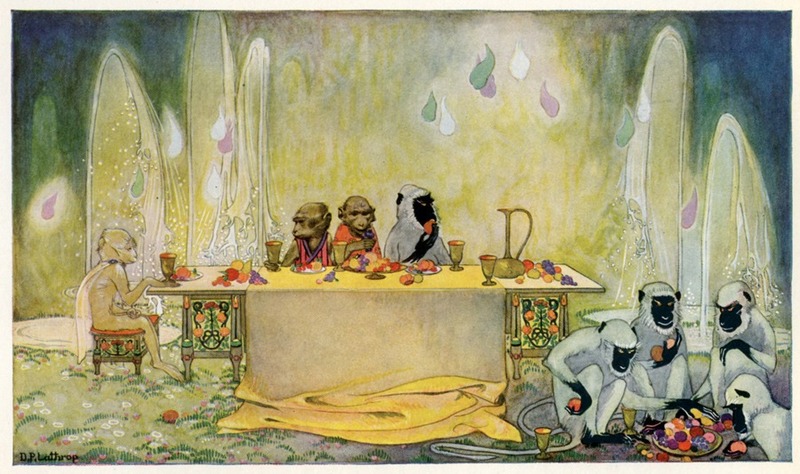 The story, The Three Mulla-Mulgars, by Walter de la Mare, from 1919, is one I’ve never heard of before. Folks at GoodReads gush about how delightful this forgotten fairytale is to read. I snagged a free Kindle edition from Amazon and hope to read it soon. I highly recommend reading Silverberg’s essay. I love people’s reading histories. Unfortunately the link to read the essay online will quit working when the next issue comes out. You can get Asimov’s at your newsstand, or from Amazon as a Kindle ebook. Here’s one of the original Dorothy P. Lathrop illustrations from The Three Mulla-Mulgars, from a collection of them at 50 Watts. Partly why Silverberg’s essay resonates so deeply with me is because he describes how an earlier true-life African explorer narrative, The Strange Adventures of Andrew Battell of Leigh, in Angola and the Adjoining Regions figured in The Three Mulla-Mulgars. I’m fascinated by how stories inspire stories. Or how writers are inspired by authors from earlier generations. The memories of authors are encapsulated into their stories, and we share their memories by reading, and their memories as passed on through us. And if we write stories, using older memories from those we’ve read, those memories are rerecorded for another generation, much like brain memories, and just as distorted. I’ve often fantasized about writing a story based on my memory of my first encounter with fiction. My earliest memory of seeing a movie is waking up in the middle of the night, and watching the all-night movies with my dad. This was before I went to school, and I didn’t comprehend movies, acting or fiction. All I can remember is a scene of two kids who were friends being separated, when the girl and her family moved away. Even at that young age, that had already happened to me more than once, because my father was in the Air Force. It was a strong fictional emotion bonding with my own remembered emotions. This was when I was too young to remember the title of movies. 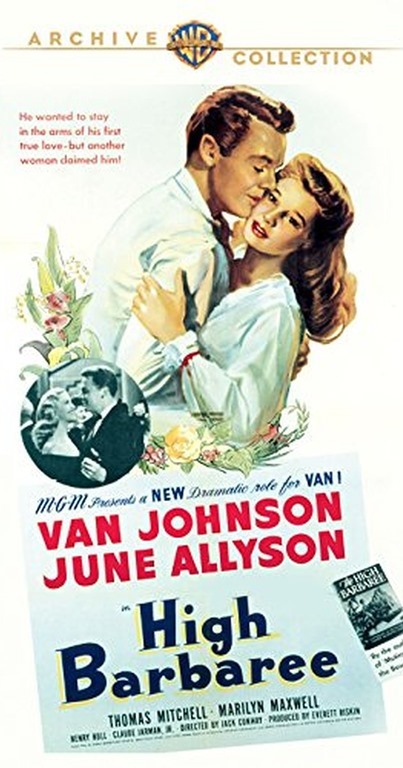 Years later I saw the movie again, and that’s when I memorized its name, High Barbaree, with Van Johnson and June Allyson. I was in the sixth grade. I used to trust my memories from that age, but I don’t anymore. I caught High Barbaree again in my twenties, after I got married. This time it occurred to me that it might be based on a book. I wasn’t able to find the book until the internet age, and AbeBooks.com. It was then I discovered the book was written the same guys who wrote Mutiny on the Bounty, Charles Nordhoff and James Norman Hall, and they also have a fascinating history. I was also able to track down a biography of those two writers at that time too, In Search of Paradise by Paul L. Briand, Jr. 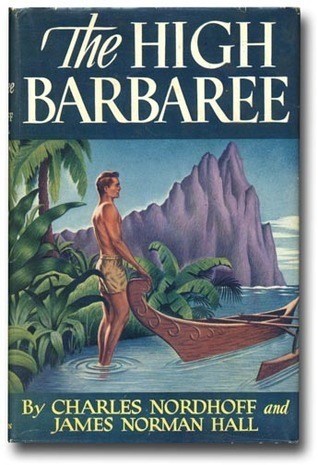 Between the original novel, and the biography, I learned High Barbaree was about memory, and a fictionalized autobiography of sorts for James Norman Hall. Hall was writing about how our souls are formed by early memory and fiction. He was remembering the writers who influenced him. His memories became my memories, and if I could ever write a novel, their memories would get passed down, along with some of mine. I guess I am a believer in the collective unconscious. It’s now possible to buy High Barbaree on DVD, but I’m not sure I can recommend it. It’s slight, sometimes silly, and very sentimental. The book is more serious, and fits the memories I have of seeing the story as a child. Or at least, that’s how I remember it now. I know my original impressions, however vaguely they were recorded by my brain, have been lost to rewriting by all the times I’ve recalled that memory. Each time I’ve watched that film again, dwelled on those memories, reread the book, or written about all of this, I’ve recolored those deep original memories with newer philosophical musings. I used to believe we could discover the truth of history. I used to think memories were real and trustworthy. Now I doubt the reliability of neural recordings, and any collective knowledge we have about actual history. We constantly rewrite our own memories, and we constantly rewrite history. For example, the new book by Bart Ehrman, Jesus Before the Gospels, has more than convinced me that it’s absolutely impossible to know anything about Jesus as a real person in history. Ehrman’s analysis of history and memory applies to recent historical figures as well, where we have solid documentation, like for Abraham Lincoln or Albert Einstein. All these revisiting and new recordings have written over any real history that happened. The best nonfiction is still fiction. I’ve taken classes and workshops in creative nonfiction, and I know from experience I can’t write the absolute truth. Memories are just stories we tell ourselves about fleeting impressions of the past poorly etched in our brains. Our minds are not DVRs. And even if they were, how often have you seen a video in the news where people argue over what actually happened? Realty was never our version of events—it’s always the Rashomon effect. Even if we average out all the eyewitnesses, we can never definitively say what happened. All during 2016, we hear folks wanting to be president tell stories they swear are true. And we’ll vote for the candidate whose stories match our own stories the best. All of those stories were shaped by the fiction everyone encountered growing up. Remember how Ronald Reagan used to blend movie scenes into his recollections? I used to think he was a doddering old man, but now I wonder if he wasn’t wiser than he appeared. We’re all going to look like silly old fools someday, dwelling on fleeting memories of our past, poorly remembered. But that doesn’t mean the stories we tell ourselves and others don’t have a kind of elegant logic. It won’t be the truth, but if we could only get our stories to work together, it might be true enough. My reality is colored by stories I encountered in my early years, like High Barbaree. Just like Robert Silverberg’s reality was colored by The Three Mulla-Mulgars, which he discovered when he was young. We might think the fiction at the bottom of our souls are merely stories, but I’m not so sure anymore. Those early tales had a butterfly effect on shaping who we became. We can’t understand reality in black and white certainty. But we do make sense of our external existence by storytelling, and so we need to understand the truth of that. I enjoyed your post about memory, We watched the Nova special as well. I agree that a lot of what we think we remember is made up of other family members stories, things we read or watched in tv and movies. I remember a teacher asking the class what the first news story we remembered that could date the event. Events related to space exploration figured in a lot of them, I guess because that tended to capture a child’s imagination at the time. Mine was Alan Shepard’s return to earth I was about five and I either had or got shortly thereafter a Cape Canaveral base with missiles and rockets etc. Boy I wish I had it now. I also enjoyed your discussion about the reading and will read Silverberg’s article. In his book On Conan Doyle M Dirda recounts his first reading of the Hound of the Baskervilles and it was similar to mine, but without all the snacks. Ralph Vaughan on his blog Book Scribbles discusses the first time he read Lovecraft, which was similar to mine except I was introduced by a friend. Vaughan went on to write Lovecraft/Holmes pastiches which is fun. As always your post gave me lots to think about and remember. I remember Alan Shepard’s short voyage into space too. I used to think it was when I was in the 2nd grade, but applying some math, I now know it was the 4th grade. Our class got to listen to the radio over the schools PA system. I lived in Hollywood, Florida at the time, down the beach a ways from Cape Canaveral. My father was in the Air Force, and the Mercury missions got me all excited about space travel. Before I read science fiction I used to get non-fiction books about space travel from the Air Base library. I know I saw the news back in the 1950s – because my parents would have been watching it – but the earliest news reports I can remember are the 1960 Presidential election. I have no memory of Eisenhower in office, even though I had been in K-3, which I think would be old enough to remember a news story. But that’s an interesting thing to ask a kid. I can remember TV shows from the mid-50s. I wish I could say I remember Sputnik. I started the 1st grade in 57, and graduated high school in 69, the year of the moon landing. It would have been cool to remember Sputnik to Apollo 11, but I only remember the space age starting with Mercury. Knowing that my memories contain some untruths because I alter them scares me. My high school teacher was the first to tell me that memories aren’t very accurate and I kinda refused to believe him at the time. I believe that our memories help to shape who we are but since they change over time, I guess it’s better to say that it’s the stories we tell ourselves that shape who we are. I’ll try to watch those videos you suggested. Memory discussions are scary but I’m curious and would like to know more. Oh gosh! That is scary. I’ve encountered similar examples where what I recall about a particular day is different from what I wrote about it in my journal. But despite that, it’s hard to believe that bits of my memory are false when they are so vivid. It’s that vividness, I think, that makes us so confident about them.